A handsome, long-blooming bunchgrass, look for junegrass on serpentine. 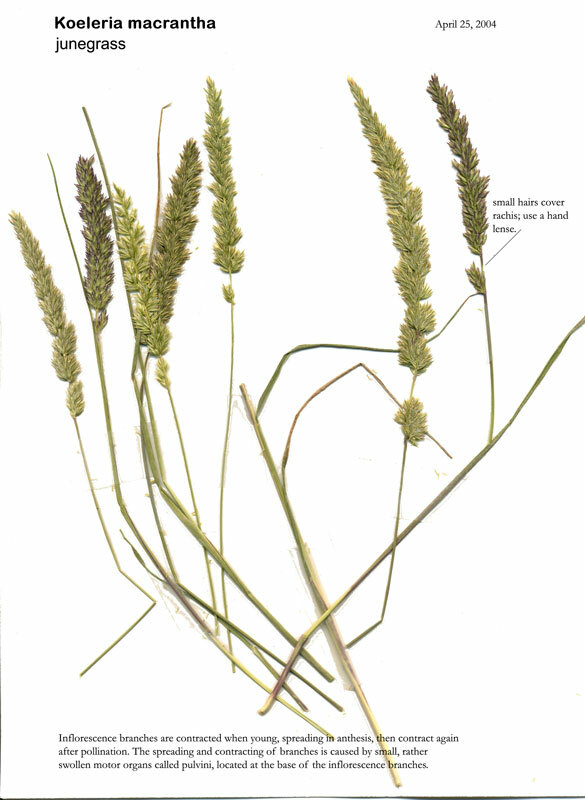 Off serpentine, at arm’s length, it can be confused with orchard grass, Dactylis glomerata, which has distinctive stiff, comb-like hairs on the lemma margins, cauline leaves, and a smooth rachis (axis of the inflorescence). Junegrass has tiny hairs on the rachis; use your hand lens. The spike-like junegrass puffs up when in full flower and contracts after pollination. Name: for G.L. Koeler, b. 1765 | large anthers.